If you’re a parent or grandparent, your children’s safety is your number one priority. Keeping kids safe online is just as important as keeping them safe physically. Here are some tips from DealDash to help you help your kids. With technology becoming more prevalent, you as a parent will find that your child might be spending more time on the internet. This is for school as well as during free time. But how do you know that your kids are safe when they are online? Here are a few tips that can help keep your kids safe, from DealDash. You should come up with a list of rules for using the internet. You will want to stress the importance of not giving out any personal information. This is especially true for people that they do not know. It is important that you enforce the rules that you set for using the internet. Your kids need to know how important internet safety happens to be. You might even want to make a rule of what websites your kids are allowed to go on. Then you will know that they are going on websites that are safe for them to go on. Additionally, if you don’t set a rule as to what websites they can go on, make it clear you will be checking the computer history. This should hopefully make your child more aware of what they are doing online. You might even want to make a point of taking a quick look through the browser history every time your child is done using the computer. If you have younger children you will want to use the computer with them while they are on the internet. Not only would you be helping to keep them safe you can use internet time as bonding time. You can help with homework or play some online games with them. You can also reinforce safety on the internet as issues come up. There are many fun and free websites for educational kid’s games. These games can easily be found by searching “free educational games for age _____” and inputting your child’s age or grade level. My daughter, who is 6, spent some time on these websites during summer vacation. She learned many things, such as how to read an analog clock. If you have an older computer it might not have all of the newest internet safety features installed. If you are thinking about getting a computer for your family that kids will be using, think about getting a new desktop or laptop from DealDash. You can click on this link right here and check out the Electronics and Computers category on DealDash. These are just a few of the things that you can do to help keep your kids safe while they are on the internet. This way they can enjoy using the internet for fun and for schoolwork and you will be able to rest easy knowing that your kids are as safe while online. DealDash has lots of items such as computers, desks, and tablets that you could get for your children. Thanks so much for reading this DealDash article on helping your kids stay safe online. Don’t forget to check back every day for new articles here. Also read our sister blog, DealDash Tips. We love to hear from our readers, just leave a comment down below. Let us know what you would like to read about next. DealDash has laptops, desktops, and tablets. DealDash has auctions for electronics. Also, gift cards are also on DealDash. Visit DealDash now to see how much you can save. Have a great time on DealDash and happy bidding everyone! This entry was posted in Kids and Parenting and tagged child, children, computers, Deal Dash, DealDash, DealDash Auction, dealdash auctions, dealdash.com, internet, kids, laptops, safety, safety tips, tablets, Tips on September 18, 2018 by . Having a first aid kit on hand for your family is very important. Here is a quick primer on how to make one up for your home, car, or to keep on hand. Read on for more information from DealDash. It’s a little scary to think about, but mishaps and medical emergency situations in the home take place regularly. It happens even more frequently than you might realize. Statistics have shown that injuries occur about every 4 seconds in the American home. These accidents vary and can occur from many different sources from cuts to burns and more. 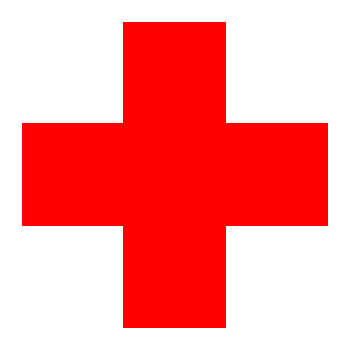 Each and every home needs to have at least one first Aid Kit that is well stocked and easily on hand. You might also want to consider making another first aid kit for your car, and a mini one for your purse or backpack. DealDash has you covered. Firstly, you need a vessel to keep the items in. You can buy a box or bag that says “First Aid” or you can use something that you already have. Make sure you save your First Aid Kit in a carry bag or plastic container that will keep your kit tidy and dry and easily accessible in your house. Just be sure to mark it very carefully with the words “FIRST AID” so everyone knows what’s inside. You will also need to designate a place to keep your kit. The kit is typically kept in the bathroom, but you could also keep it in the kitchen or anywhere else that is close at hand. First aid kits for the home are used most typically for small injuries such as cuts, sunburns, small cooking burns, or bug or animal bites. Having a well-stocked first aid kit can mean the difference between having to take a trip to the doctor or clinic right away or be able to take care of things at home. Thermometer-either digital or mercury – if you choose digital you should keep an extra battery in the kit as well. Medicines – Including Non-prescription medicines such as antihistamine cough suppressant, aspirin, ibuprofen, syrup of ipecac in case somebody consumes toxin. This need to only be utilized after calling the Poison Control Center first. Also, you should include any prescription medications that any family members take as well as a paper copy of the prescriptions. Bactericides such as Hydrogen Peroxide, witch hazel, or alcohol to kill germs. Anti-bacterial cream or ointment. This is good for cuts, scrapes and insect bites. Your First Aid Kit should be inspected once each year, possibly the very same day you inspect your smoke alarm. You will want to be sure it is fully stocked. Make certain you always make a note of anything you utilize out of your Kit so it can easily be replaced. This is a great time to check the expiration dates on all medications and be sure that any paper prescriptions are still current. You will feel much better once you have your first aid kit all made up and installed in its new home. You should also consider making up one for your car, boat, or anywhere else that you spend a lot of time. Thanks so much for reading this DealDash article on making up a first aid kit. Don’t forget to check back every day for new articles here. Also read our sister blog, DealDash Tips. We love to hear from our readers, just leave a comment down below. Keep your family healthy with these tips from DealDash. Get health items on DealDash. Go check DealDash to see survival and first aid kits. Visit DealDash now to see how much you can save. Have a great time on DealDash and happy bidding everyone! This entry was posted in Health, Home, Wellness and tagged Deal Dash, DealDash, DealDash Auction, dealdash auctions, dealdash.com, family, first aid kit, health, healthy, home, house, safety, wellness on August 24, 2018 by . There are many ways to keep a baby safe from itself. Let’s look at the different ways to keep a baby safe. As the mom of a 9 month old baby I am constantly worried that he is getting himself into trouble when I step away for even a moment to answer the phone or check on something in the oven. Luckily, there are many ways to keep babies safe and sound from harm these days. Here are a few ways to keep your house baby-proofed and safe for everyone. Classic – You can hear the baby, and when you press a button you can speak to the baby. Video – You can see and hear the baby, and when you press a button you can speak to the baby. Some have other features such as room temperature, plays lullabies, and night vision. Smartphone – With these monitors, they do everything that the video monitor does, except instead of having to stay within 100 yards of the house you can check your baby from anywhere using your smartphone. This is a great monitor to have if you leave your baby at home with a babysitter, or if you have a nanny. Another way to keep your baby safe is by investing in a Pack N’ Play, playpen, or play yard. These are great to have if you are at home within sight of your baby but need to keep them contained for a short period of time, such as when you are cooking, cleaning, or doing a project. If you use one of these, make sure that all of the toys that you put in the baby containment unit are baby-safe and non-chokable. Lastly, be sure to baby-proof your electrical outlets and keep your phone chargers out of reach! Electrical outlets pose a danger to babies, especially if they are in the stage where they like to lick and chew on everything. Phone charger cords can be a dangerous choking and electrocution hazard. I hope that you have found this article on baby safety helpful. DealDash has many baby products up for auction. When you need a baby product be sure to check DealDash first. Here is a link to visit DealDash. Good luck and happy bidding everyone! This entry was posted in Uncategorized and tagged baby, child, children, Deal Dash, DealDash, DealDash Auction, dealdash auctions, dealdash.com, kid, safe, safety, toddler on November 5, 2016 by . Driving safely is important. Let’s talk about some ways that you can stay safe while driving. 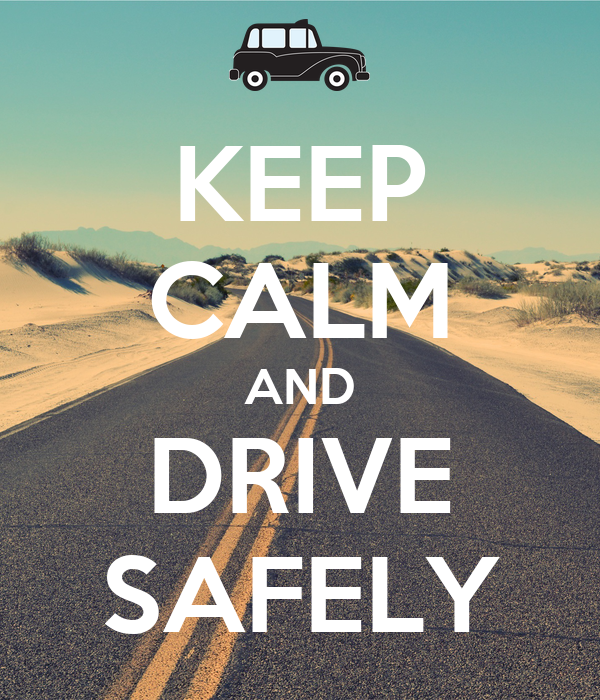 Driving safely is important not only for your safety, but also for your passengers and everyone around you. There are many ways that you can improve your driving to drive more safely. Here are just a few tips to get you thinking about how you can improve your driving. DO NOT TEXT WHILE DRIVING. Do not text while driving. It’s so important that I had to say it twice. I admit, I have been guilty of texting while driving in the past, especially while sitting at a stoplight. However, I have amended my dangerous practices and now only text while I am fully stopped and my car is in park. No message of “Whatcha doing?” or “LOL :)” is more important the safety of my children, myself, and whose around me. If you absolutely must text, please pull over into a parking lot or off on a side street. Or better yet, if you have a child in the car that is old enough to read and type, get them to be “your assistant” and read and send messages for you. It will make them feel important and it will help you (and them) stay safe. Don’t talk on the phone while driving. This is a little less important than not texting while driving, since many cars now have bluetooth calling available as standard equipment when you buy your car. Bluetooth ear pieces or add-ons for your car are very affordable and can keep your attention on the road instead of holding your phone while trying to drive. Don’t have the radio too loud while you are driving. Have you ever noticed that people automatically turn down the radio when they are looking for a street address or certain building? It’s because the radio can be distracting and you can concentrate much better without the radio blaring. There’s no need to turn it all the way off, just keep it at a sensible volume. Use your turn signals. This is such an obvious thing that it shouldn’t have to be explained, but from observing people driving everyday – use your turn signals! Take your curves more slowly. Taking curves can be dangerous to the people driving behind you – especially if you don’t abide by the above suggestion to use your turn signals! Try to brake much further ahead than needed. This will be especially helpful when it’s rainy out, and also as we get into winter and have snow and ice on the roads. I hope that these driving safety tips are helpful for you. If you drive often you will be pleased to hear that DealDash offers both Exxon/Mobile and Shell Gas gift cards for auction. Getting a gift card from DealDash can save you money, as well as earn you “clock time” when bidding. Just click this link here and visit DealDash. Good luck and happy bidding everyone! This entry was posted in Uncategorized and tagged Deal Dash, DealDash, DealDash Auction, dealdash auctions, dealdash.com, drive, driver, driving, rules, safety, suggestions, Tips on October 18, 2016 by . Unfortunately bugs and summer go hand in hand, let’s look at the kinds of bugs that you might encounter and what to do if you get bitten. There are many many types of bugs, and most of them are completely harmless. Sometimes you run into a bug that bites or stings, though. Here is a quick and handy guide to what you should do in case you get into a confrontation with a bug and end up with a little injury. Bees – There are many many types of bees out there such as Bumble, Honey, Carpenter, and Africanized. These bees are peaceful for the most part with the exception of the Africanized bee. Bees will be especially active during the second half of summer and early fall when the colonies forage for food to sustain them during the winter months. Try your best to just avoid the bees and they will most likely leave you alone. If you do happen to get stung you will want to remove the stinger as soon as you can. It just takes a moment for all of the venom to enter your skin. Next you should scrape the area with the edge of a credit card or business card to remove it. If you use tweezers or your fingernails to remove the stinger you might squeeze it and inject more venom. After the stinger is out wash the area with soap and then put an ice pack on the area. You can take an OTC pain reliever if you need it, and you should be all healed up within a few days. If you are showing any signs of an allergic reaction such as wheezing, trouble breathing, or a racing heartbeat be sure to visit the urgent care clinic or even the emergency room right away. 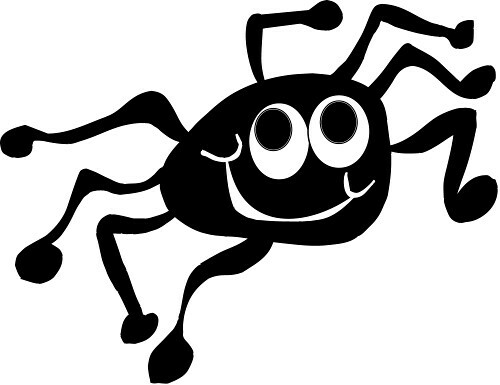 Spiders – Almost all spiders have a fairly harmless bite. There may be a bit of pain, itchiness, and swelling but nothing to be too concerned about. You can wash it with soap, take a little OTC pain reliever, rub it with an antihistamine cream and be on your way. However, if you have the bad luck of being bitten by a Black Widow or Brown Recluse you are in for a bad time. If you suspect that you have been bitten by a Black Widow or Brown Recluse you need to get medical help immediately. These spider bites are not a thing that you want to ignore. I hope that you found this article helpful. If you are in need of anything for summer fun be sure to head over to DealDash. They have pools, grills, sports equipment and more that is sure to make your summer more enjoyable. Good luck and happy bidding everyone! This entry was posted in Uncategorized and tagged bugs, Deal Dash, DealDash, DealDash Auction, dealdash auctions, dealdash.com, help, helpful, insects, kids, outdoors, safety, summer on July 20, 2016 by .